There is something I find truly satisfying about making bread from scratch, kneading the dough and then watching it slowly grow into what will eventually be a delicious loaf of bread is a pretty cool kitchen activity. 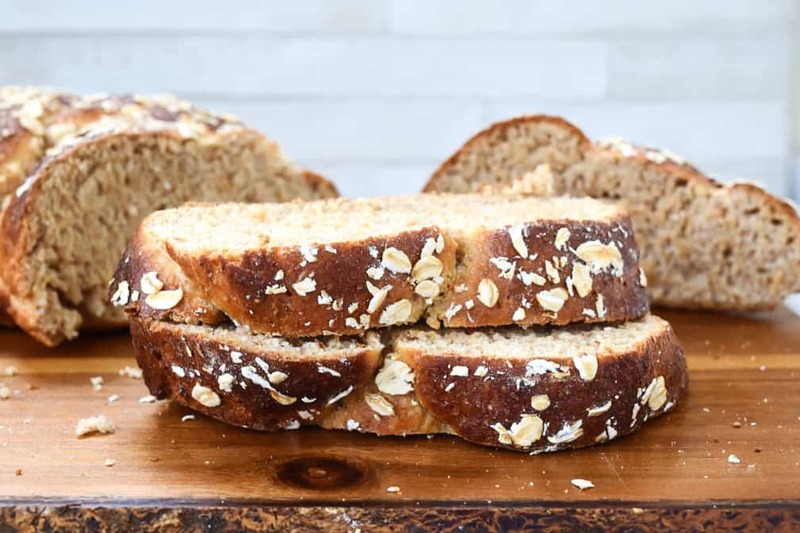 Give this Honey Oat Bread a try, it’s definitely worth your effort. Making bread also feels like a completely grown up thing to do. And always make me think of the times when making and baking your own bread was a normal part of the day. This was before bread making machines came along and did all the work for you. 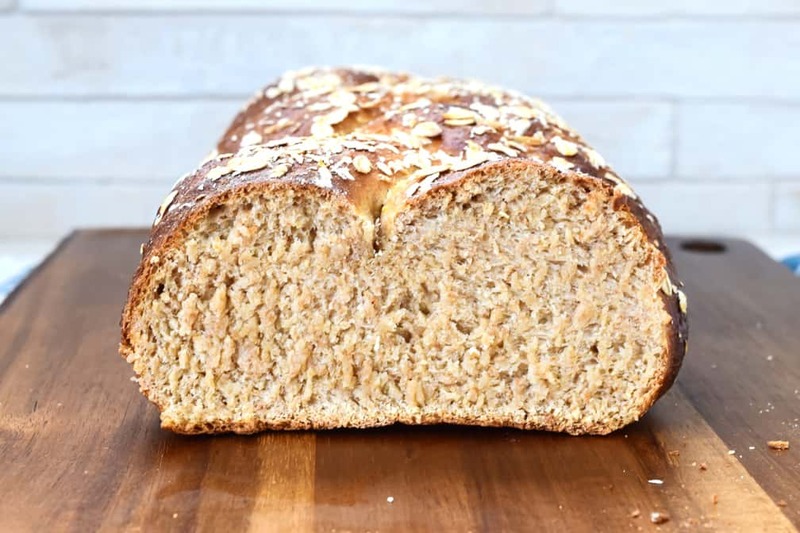 This particular recipe for honey oat bread did not last long in our house! The boys were pretty impressed and had theirs toasted with an extra spread of honey on the top. You may wonder why you should bother, when its easy to have to work done for you and buy a loaf from the shop but baking your own is totally worth it. Firstly, you get to fill your house with that comforting aroma that breezes around a bakery. And Secondly, you control what goes into it. No preservatives or additives and it really does taste so much better. Bread has an endless amount of possibilities, flavours and even shapes to try. After a little while it’s easy to become a bread baking addict! This is a sweeter loaf than normal bread and quite rich in flavour. It tastes amazing on it’s own with a little butter. 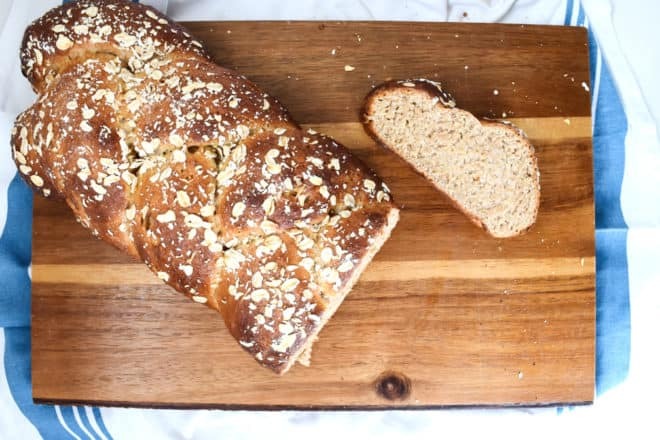 But it also makes a yummy breakfast loaf and will even go well with some soups that require something a little sweet to compliment the savoury. Looking for a Soup Recipe? Try this Curried Honey Roast Parsnip Soup as accompany it. 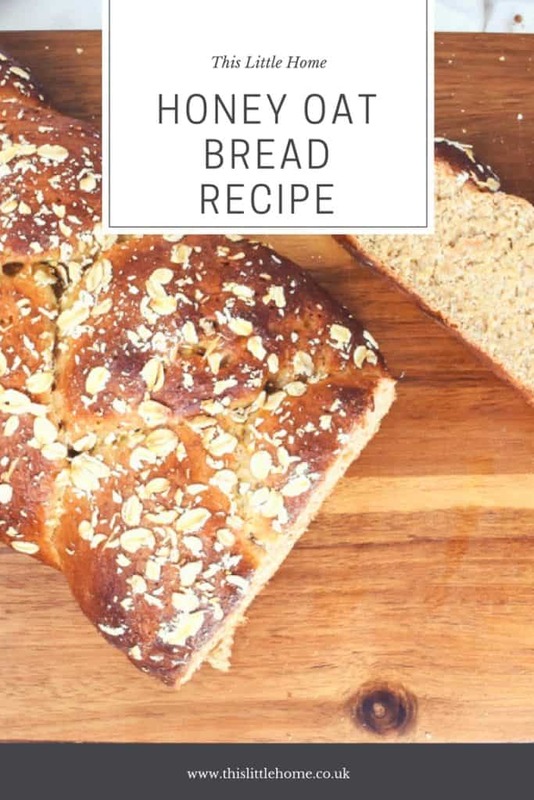 Do you like making your own bread? Do you have a bread making addiction? What do you love about homemade bread the most? Share your thoughts in the comments below. Mix the flours, oats and salt in a bowl. Add the yeast milk, honey and water and mix to form a dough, you may need a little more or a little less water. Place the dough in an oiled, cover and leave to rise for an hour until it has doubled in size. Tip the dough onto a floured surface and knock back for 5-10 minutes until the air is removed. Divide the dough into 3 pieces and roll each piece out into a long tube the same size. Line a large, flat baking tray and place the pieces on it. Press the pieces together at the top and plait them together. Stick the ends together the same as the top. Put the whole tray into a plastic bag and leave to rise again for another 30 minutes to an hour. Once the dough has risen, brush the surface gently with the beaten egg and sprinkle the extra oats on top. Place in a preheated oven at 210oc (190oc fan assisted) for 25-35 minutes until golden. To check the bread is ready, take it out and tap the bottom, it should sound hollow.